Education is our business. 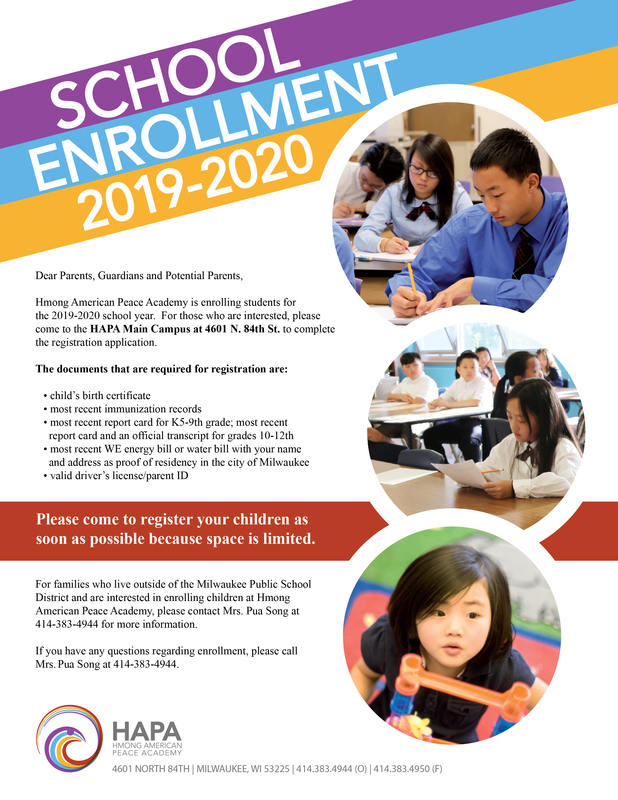 The programs offered to develop students intellectually at Hmong American Peace Academy are both rigorous and rich in their content. Students begin their schooling with advance concepts in mathematics in grades K4-3rd grade. Reading programs are built on a foundation of phonemic awareness, phonics, and literature beginning in the preschool program. The science and social studies programs are made rigorous through the infusion of reading and writing across the curriculum, not to mention hands-on opportunities to explore these content subjects. Overall HAPA prepares students to read, write, and research. With these skills students are able to explore any discipline. The ultimate goal of the K4-8 program is to produce critical thinkers who will use their learning skills to be peaceful and productive citizens.